Product prices and availability are accurate as of 2019-04-12 14:06:29 EDT and are subject to change. Any price and availability information displayed on http://www.amazon.com/ at the time of purchase will apply to the purchase of this product. 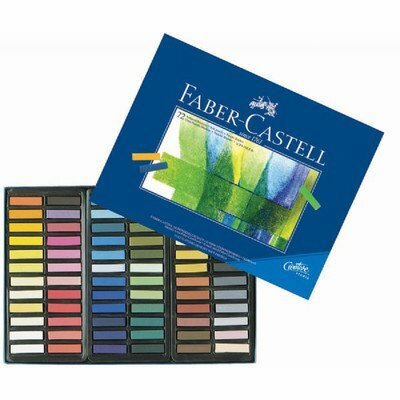 These half-stick soft pastels have vibrant colors and excellent opacity. They give smooth color laydown, great blending ability for rich pastel effects. Acid-free, archival. Each stick measures 1 1/4" x 1 1/4"